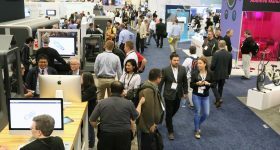 3D Printing Industry has been at the 2017 TCT Show in Birmingham all week. 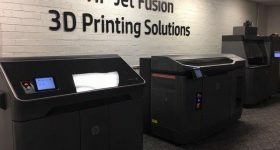 Here are some of new 3D printers and the latest technology we’ve seen at the UK’s largest 3D printing trade show. New printers on display included the XYZ full color da Vinci. 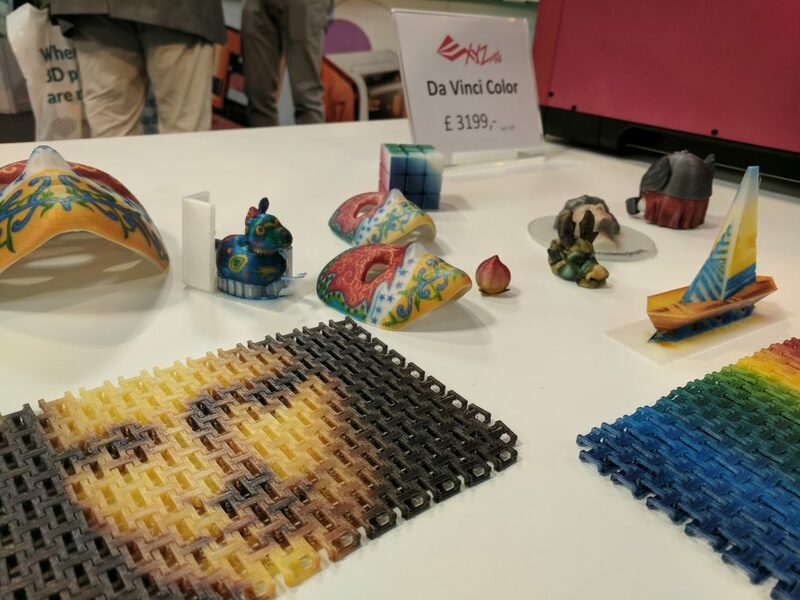 The 3D printer uses a combination of inkjet and FFF/FDM technology to make full color models. XYZ full color da Vinci 3D printer. Photo by Michael Petch. 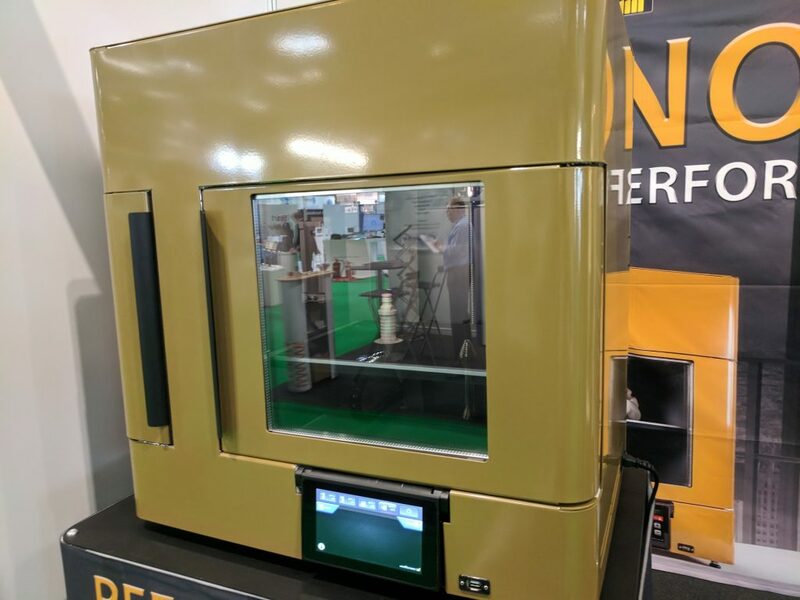 The new ZMorph VX Multitool 3D printer was launched at the TCT Show 2017. The 3D printer can also be used with a CNC milling toolhead, a laser toolhead, dual extruder or thick paste extruder. 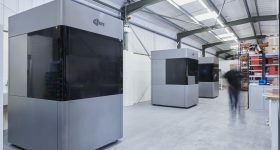 The VX marks a shift from earlier versions with an improved quality of components used and a renewed focus on the 3D printing element of the machine. 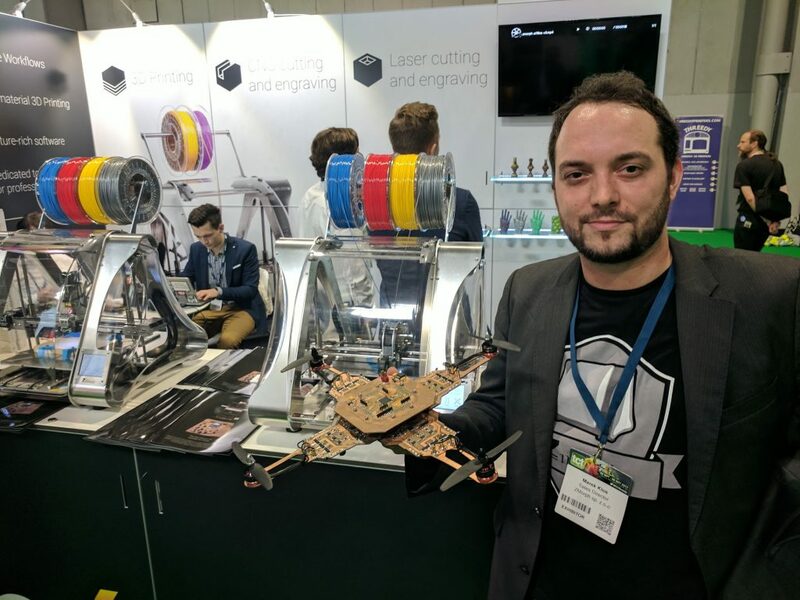 Marek Klos from ZMorph with a drone made using the ZMorph VX multitool 3D printer. Photo by Michael Petch. 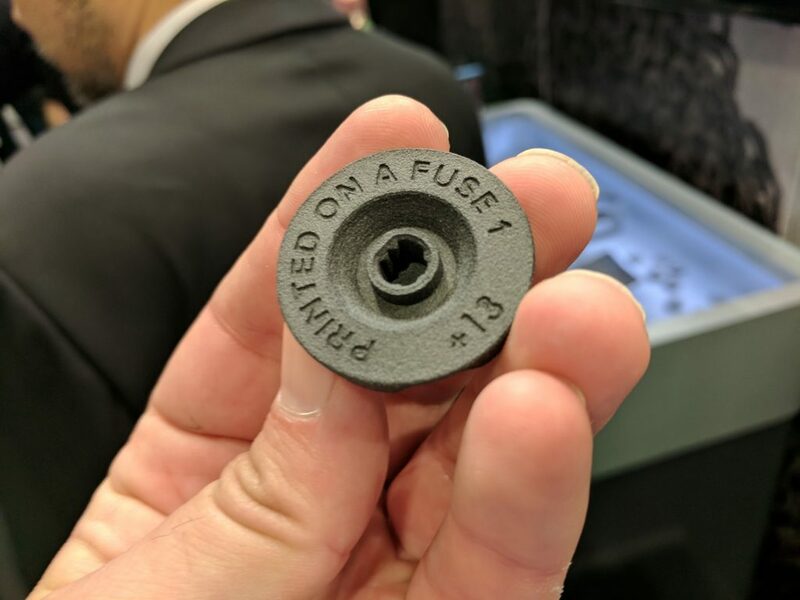 While Formlabs did not bring the forthcoming Fuse SLS 3D printer, a number of sample parts were on display. Competition in the SLS market is intensifying with Sinterit recently cutting the price of their LISA SLS 3D printer to below £5,000. The Fuse is currently priced around £10,000 and many will be keen to see if this first SLS machine from the team behind the popular Form series of SLA machines will have a similar impact on the SLS 3D printing market. A 3D print from the Formlabs Fuse 1. Photo by Michael Petch. 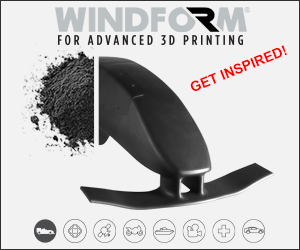 One of the key 3D printing trends in 2017 is the increasing number of 3D printers capable of working with materials such as PEEK and PEI/ULTEM. 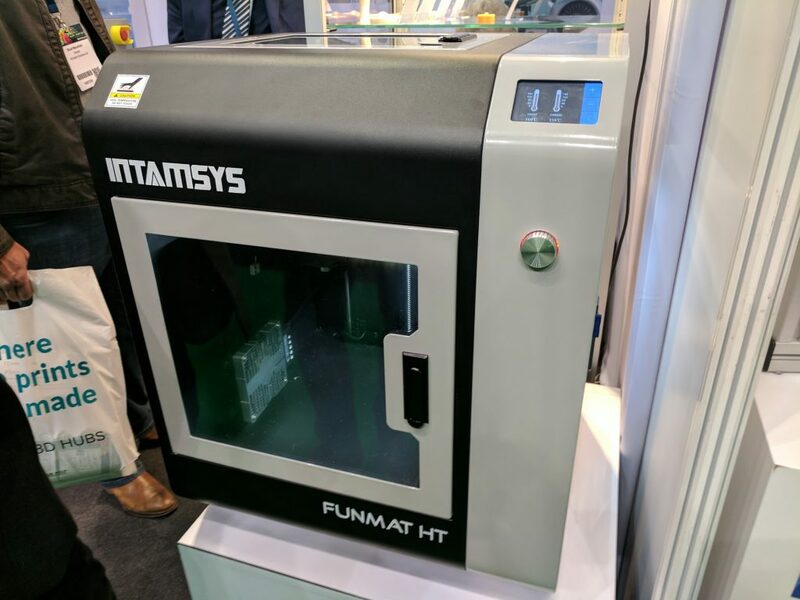 The INTAMSYS FUNMAT HT was on display and is one such 3D printer capable of using high performance functional materials like PEEK, ULTEM and PPSU. An upgrade means the FUNMAT HT extruder can operate at temperatures to 450°C in a constant temperature build chamber of 90°C. The INTAMSYS FUNMAT HT. Photo by Michael Petch. In October, INTAMSYS is launching an upgraded FUNMAT PRO. The 3D printer will have a constant temperature chamber meaning improved reliability when 3D printing large-size and full-size objects in NYLON-Carbon Fiber, PCABS and PC. 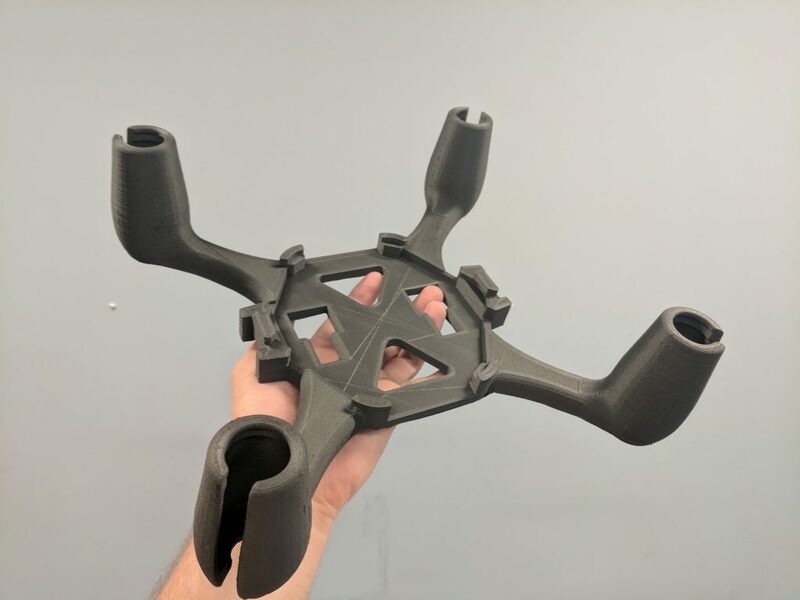 One impressive component from the FUNMAT PRO is the 3D printed drone frame below. Nylon-Carbon Fiber Drone. Printed on FUNMAT PRO. Photo by Michael Petch. MiniFactory from Finland brought the Innovator 2 to TCT 2017, the machine is a high performance 3D printer for PEEK. The FFF 3D printer has a maximum printing size of 370 x 260 x 300 mm and is capable of resolutions range from 0.03-0.40 mm. The build chamber of the Innovator 2 can be heated to a range between 25°C to 90°C. A liquid cooling system is used within the heated chamber. MiniFactory Innovator 2 high performance 3D printer. Photo by Michael Petch. 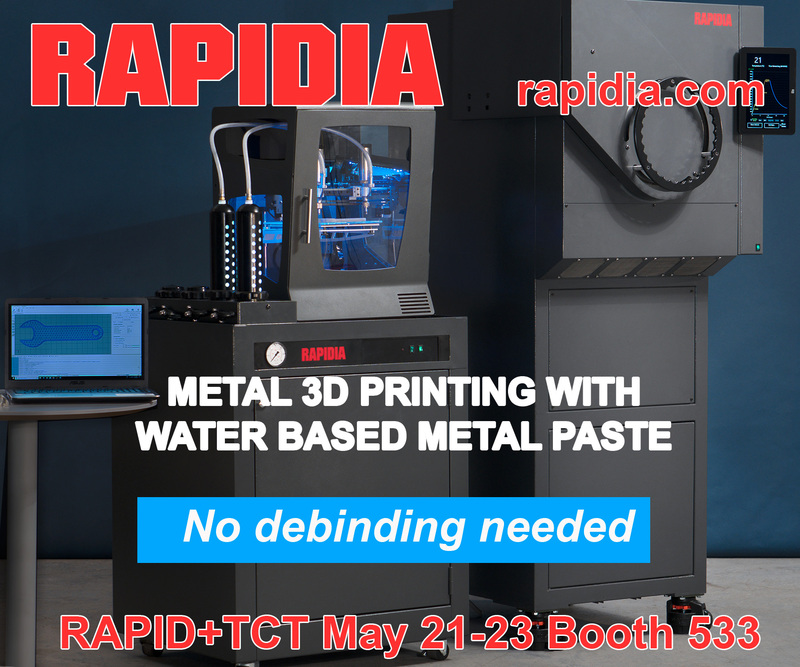 The TCT Show also provides an opportunity to get a glimpse of forthcoming technology. 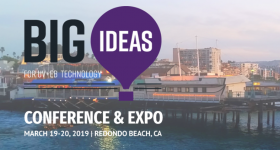 Many of the conversations I had at the show were off the record, and the photo’s passed around on phones are not yet ready for the wider audience. 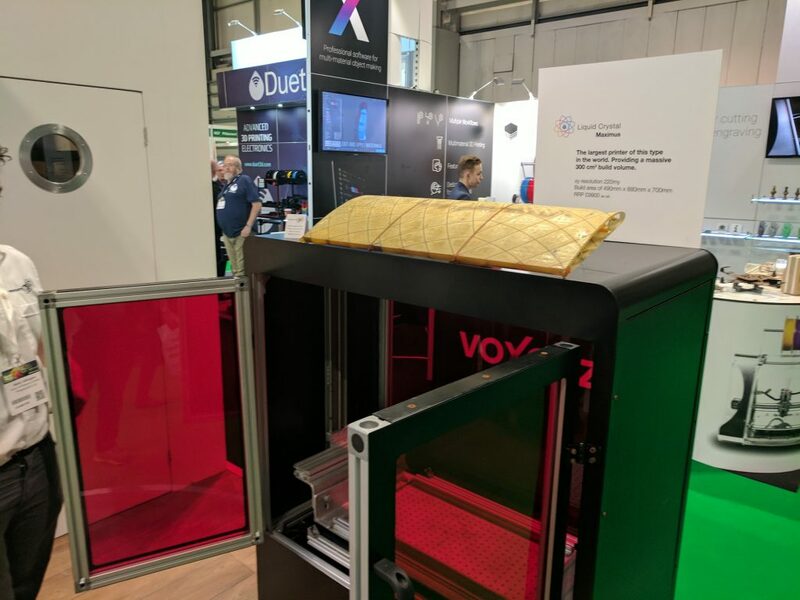 I can say that a new 3D printer from AON3D sounds impressive. 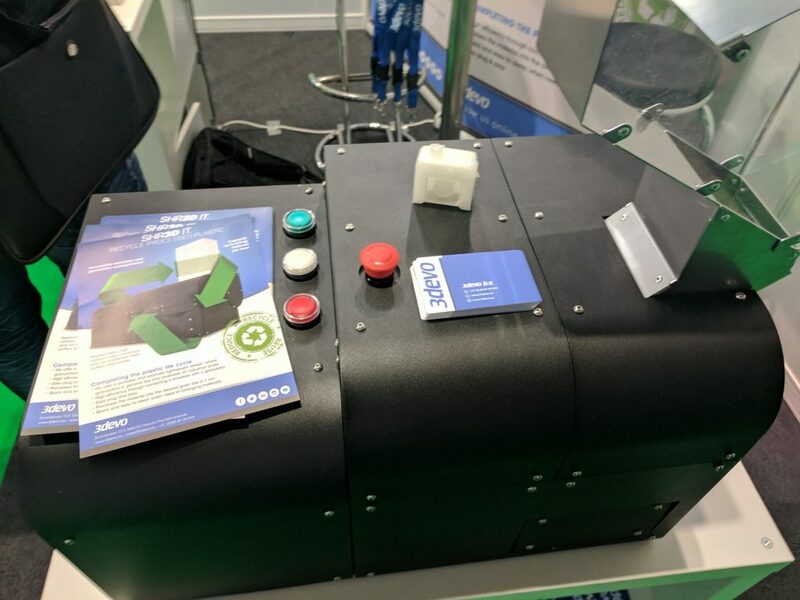 The next 3D printer from the team behind the AON-M brings the ability to 3D print higher grade engineering thermoplastics and an industrial scale build volume. Cooling is also provided by a liquid system. Other approaches to water cooling were on display at the E3D Online booth. The team were not giving much away at the show, but you can expect some interesting news about a modular ecosystem and the Trident water cooling system by the end of the year. E3D Trident water cooling system. Photo by Michael Petch. 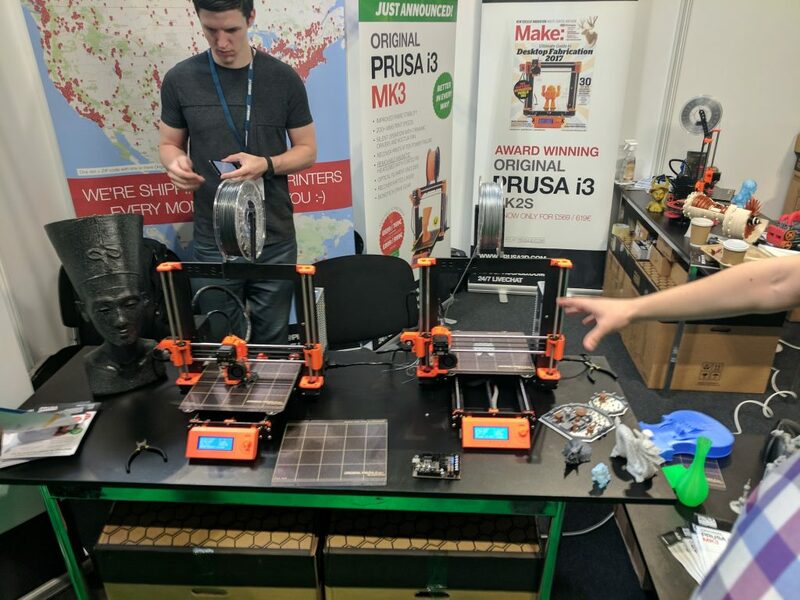 During the show the E3D booth became a focal point for many in the 3D printing community, with popular You Tube presenters such as Thomas Sanladerer of Toms3D and Joe from the 3D Maker Noob channel meeting visitors. Long-term respected voices in the 3D printing world were also present. I also spent some time speaking with RichRap who had copies of his useful guide to 3D printing with him. RichRap and the E3D team. Photo by Michael Petch. 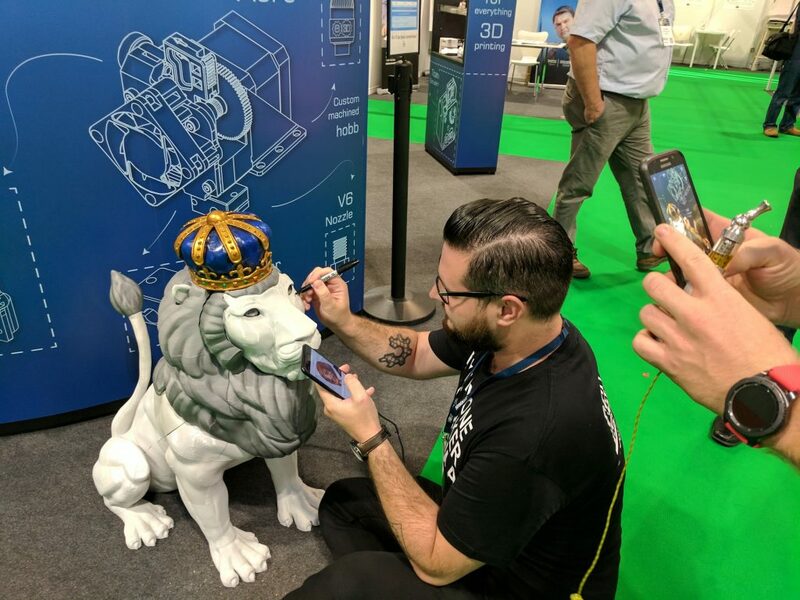 Josef Prusa and Loubie’s Lion at the E3D Online booth. Photo by Michael Petch. On Wednesday, Dr. Adrian Bowyer – founder of the RepRap project – stopped by the E3D booth. 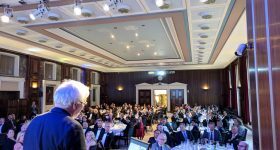 Dr. Bowyer was awarded the 3D Printing Industry Outstanding Contribution to 3D Printing Award, as voted for by our readers, earlier this year. 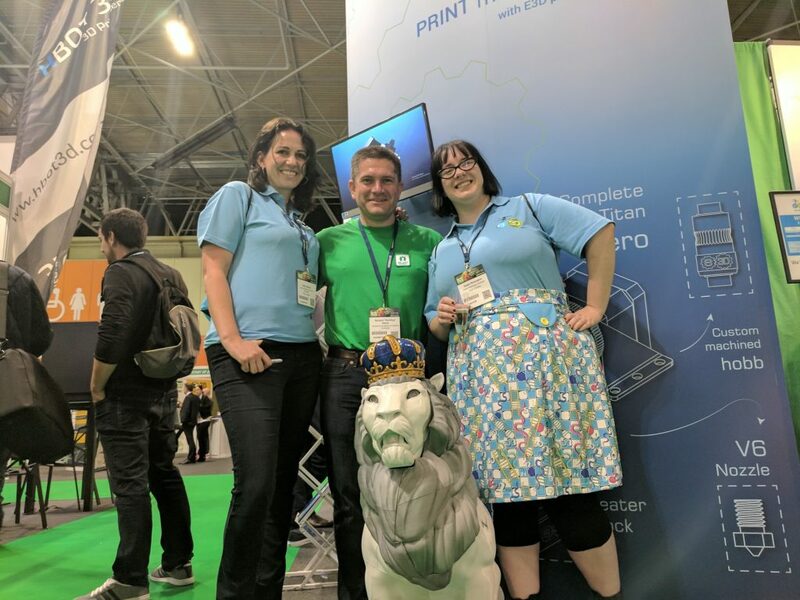 Throughout the TCT Show, the fruits of this project were visible – notably with Josef Prusa demonstrating his latest 3D printer, the MK3. The Prusa MK3 3D printer. Photo by Michael Petch. 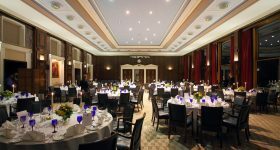 The Open Source 3D printing community also gathered last night for a dinner, while at Birmingham Town Hall a more formal event took place – the first TCT Awards. 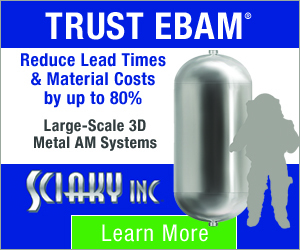 Winners included Desktop Metal who took the rising star award and 3D Systems. 3D Systems, together Rick and Morty producers Starburns Industries won the Creative Product Application Award for the stop motion animated film Anomalisa. The event also saw the induction of the first five members to the TCT hall of fame. 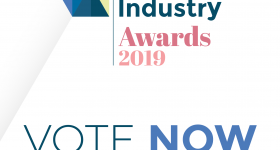 Dr. Bowyer, Chuck Hall of 3D Systems, Dr. Hans Langer of EOS, Scott Crump of Stratasys and Fried Vancraen from Materialise were all recognised for their contributions to the 3D printing industry. Ahead of the awards I had a chance to sit down with Fried Vancraen and hear more about the important trends driving the industry. 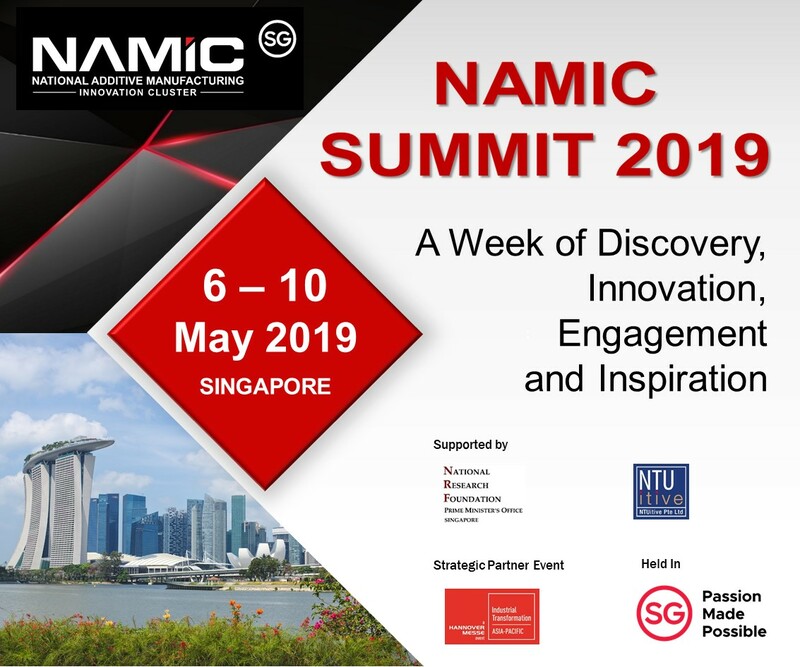 The full interview will be published soon on 3D Printing Industry. 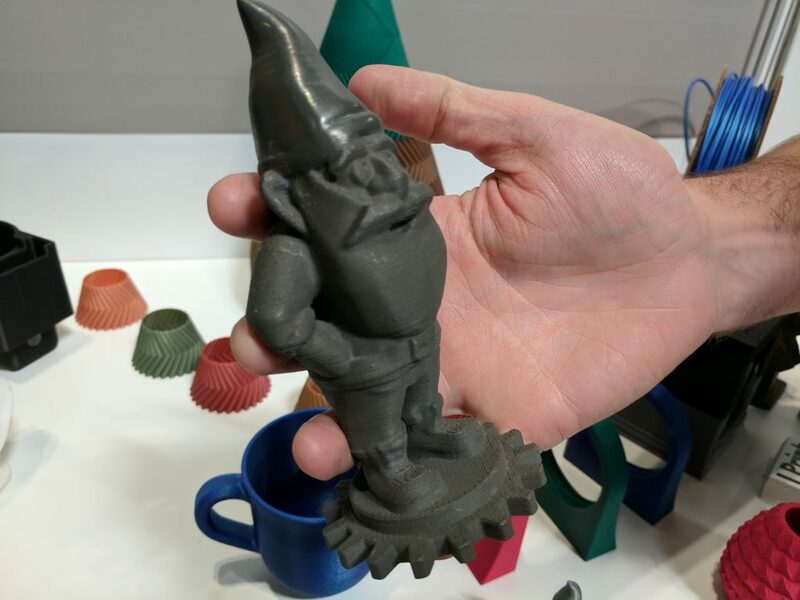 ProtoPasta steel infill 3D printing filament. Photo by Michael Petch. 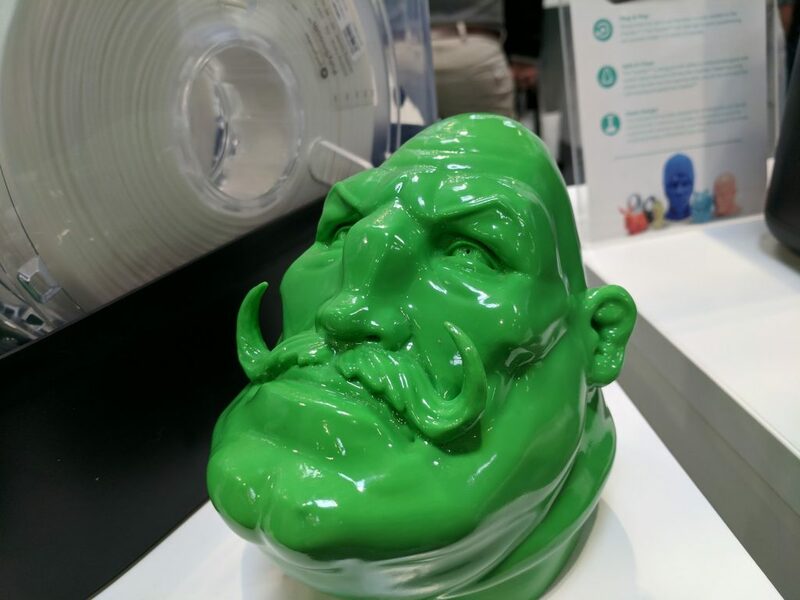 The Polymaker Polysher can give 3D prints a smooth finish. Photo by Michael Petch. Back at the show, other new products on display included the SHR3D IT from 3Devo. 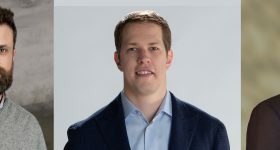 Speaking to 3Devo founder, Tim Wesselink, he explained the machine is a “step back in terms of the supply chain.” The desktop SHR3D can be used to recycle failed FDM 3D prints, or other waste plastic, into plastic granules. These granules can then be used to produce filament with the 3Devo NEXT filament extruder. With an expected price below £3,000, the SHR3D IT will be available in October. The 3Devo SHR3D IT 3D print recycler. Photo by Michael Petch. 3Devo founder Tim Wesselink. Photo by Michael Petch. 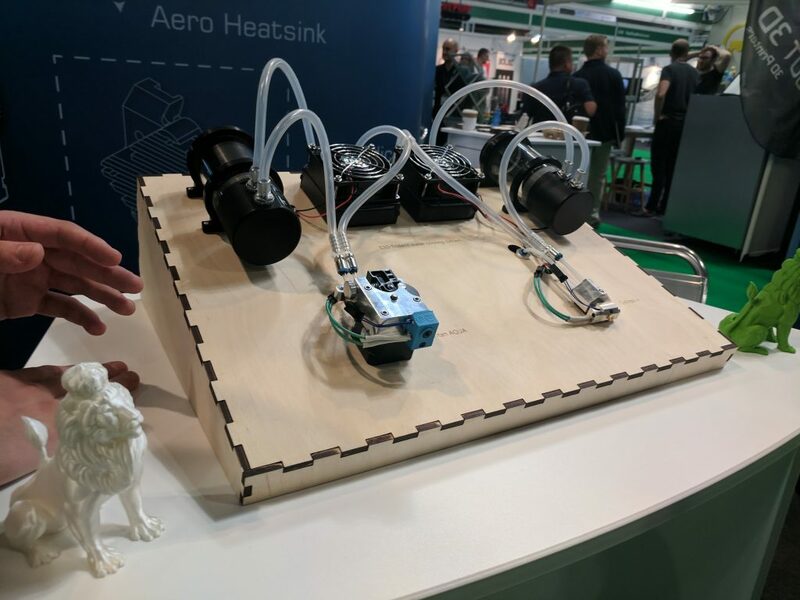 Other forthcoming products on display included a prototype from SLA resin manufacturer, PhotoCentric. The Maximus 3D printer uses a 40 inch, 4K LCD TV screen as the light source and currently priced below £10,000 will be available in the Q1 2018. The Maximus 3D printer will have a build area of 490x880x700mm and has a build volume of 300 cm3. 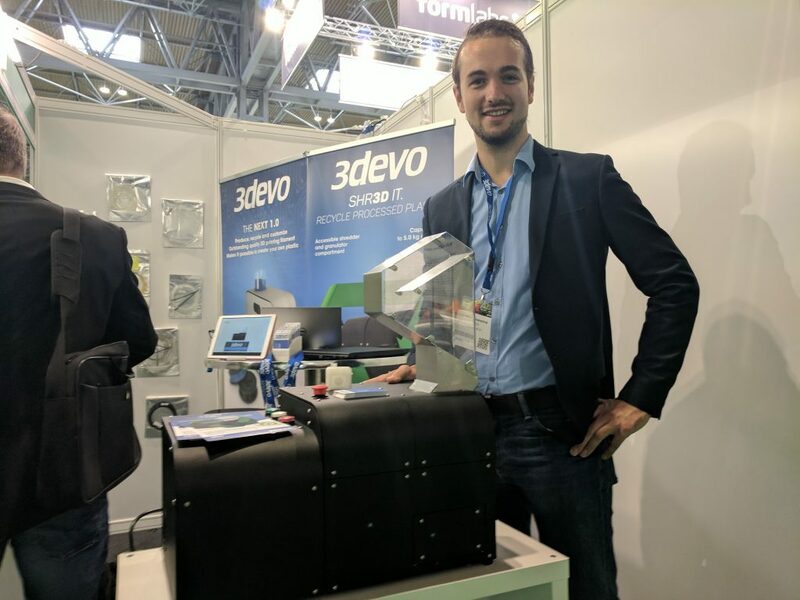 Our reporters are at the show all week, if you are visiting the Birmingham NEC today make sure you say hello to the latest member of the 3D Printing Industry team – Rushabh Haria. 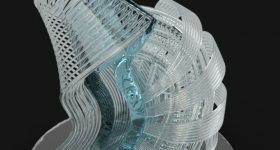 Make sure you don’t miss the next update by following 3D Printing Industry on Twitter and subscribing to the most widely read 3D printing newsletter.